Rigid and dilated segment of aboral ileum has lumen filled with air, which allows for virtual endoscopy. 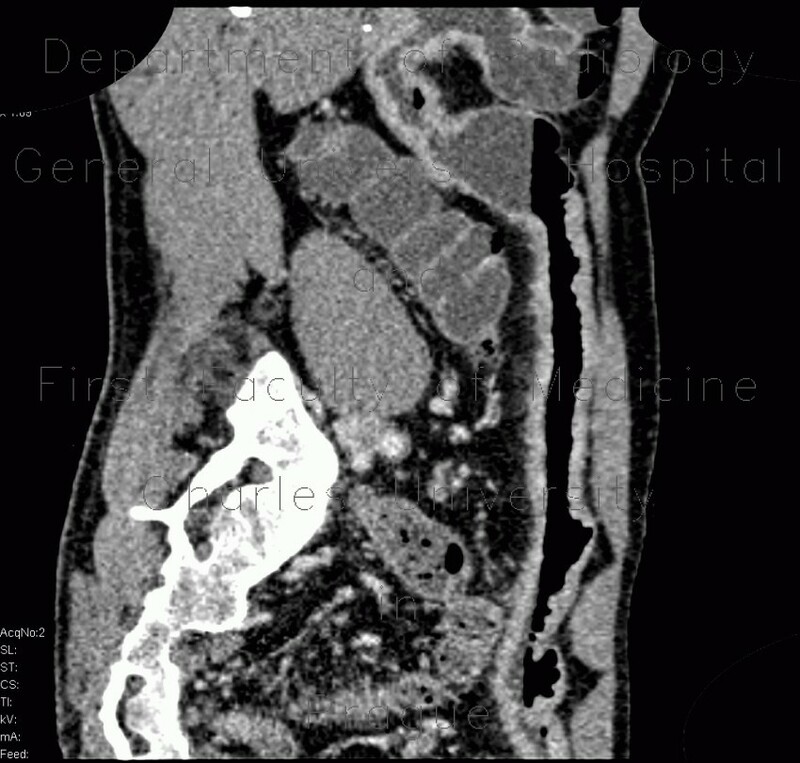 The endoscopic view shows the typical cobble stone pattern. Correlation with radiographic image (enteroclysis).